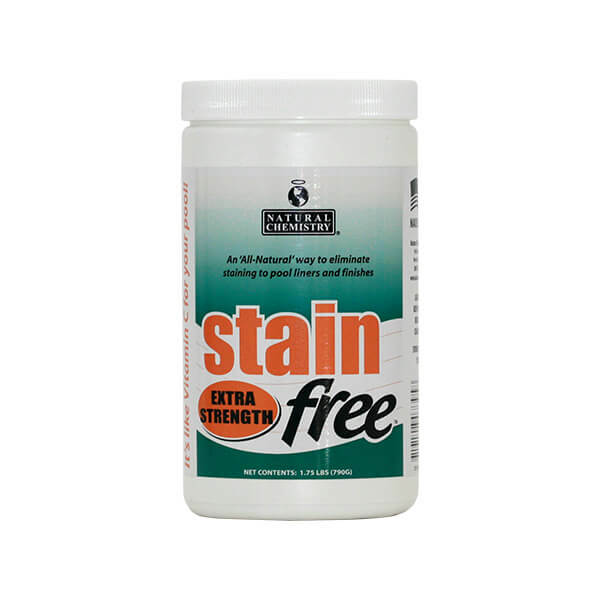 Stainfree Extra Strength is an all-natural stain remover that contains industrial strength ascorbic acid. It quickly removes metal staining without adding phosphates to your water. It is ideal for treating staining on all pool surfaces. Use with Natural Chemistry’s Metalfree™ and you have the ultimate 1-2 combination for stain fighting! 100% ascorbic acid- premium stain fighter!